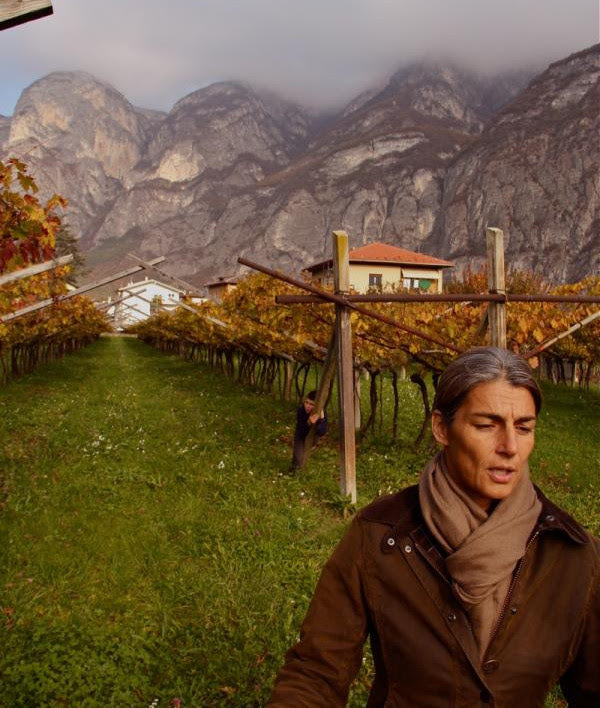 Since she took over her family’s Trentino estate at the tender age of 20 after her father’s sudden death, Elisabetta Foradori has made elevating the native Teroldego grape her life’s work. Teroldego is an ancient variety that thrives in the high, sunny foothills and plateaus below the Dolomite peaks and has close relations to Syrah. For most of its modern existence, Teroldego wines were made in bulk using nursery clones for easier ripening and higher yields that resulted in vapid, uninteresting wines. 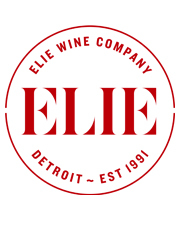 Elisabetta plunged into her first harvest in 1984 after graduating from oenology school. Although winemaking wasn’t necessarily her immediate passion she nevertheless began refining the vineyards to emphasize quality over quantity. Over the years she has replaced the pergola-trained clones with massale cuttings from the oldest, best Foradori vines. She also began harvesting by hand, pruning rigorously, and converting the farming to organic and eventually biodynamic farming methods. This dedication over the last 30 years of restoration of teroldego’s genetic diversity so that the wines would be deeper, purer and more complex has resulted in Elisabetta Foradori becoming recognized as the top producer of Teroldego in the region. The combination of unwavering attention to the vines and low-intervention vinification has created a vibrant and elegant style of Teroldego that is as unique as the place it’s from. The Foradori estate consists of close to 70 acres of vines, of which 75% are planted to Teroldego. The vineyards are high in altitude and surrounded by mountains yet receive plenty of sunlight to ensure ripeness. “Morei” comes from a six acre parcel of limestone and granite rich soils of the Campo Rotaliano plateau. The vines average 30 years old. The wine spends eight months on its skins in clay amphorae, untouched until blending and resting in cement before bottling. Certified-biodynamic farming, hand-harvesting, fermentation with indigenous yeasts and minimal sulfur use all work to create a sappy wine bursting with a bouquet of roses and violets over cherry licorice and smoldering clay. At first sip the fruit is primary but swiftly fills the mouth with layers of ripe, brambly forest berries and the long, electric finish you expect from Alpine wine. This is a wine that will flesh out over the next decade in a cellar if you can keep your hands off it. Only about 800 cases produced. We have just a handful of bottles of this cuvée that is sourced from the cooler “Sgarzon” vineyard on sandy soil and tends to be more delicate than the stonier-soiled “Morei” bottling. Like “Morei” the “Sgarzon” spends 8 months on its skins in clay amphorae. Only about 800 cases produced. The entry-level and flagship wine of Foradori from mostly sandier parcels of vines planted from 1956 to 2005 totaling around 25 acres. Fermented in cement–with up to 20% whole-cluster depending on the vintage–and aged for one year in cement and wooden foudres. About 7,500 cases produced.